IceCap adds immediately an intuitive web interface to your existing RPG, COBOL and CL programs. The new interface adds a wide range of integration opportunities. IceCap ensures decades of investments. All while saving massive investment in new hardware, software, conversion and training. The modernization of the character based "green screen" 5250 environment requires IceCap. It’s an efficient tool and very easy to use. IceCap can create a genuine web interface for IBM i™ in only 10 minutes! immediately adding an intuitive web interface for the old character-based applications. IceCap provides immediate lifetime extensions to all applications, securing your software and hardware investments for the foreseeable future. IceCap can immediately add an intuitive web interface to your existing RPG, COBOL and CL programs. IceCap™ can be used by all types of Internet browsers. All users can access their applications without the need of installing additional software on their computers. 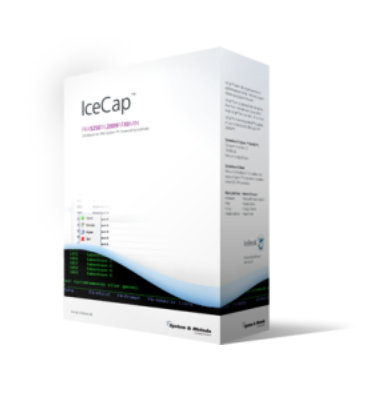 IceCap™ does not require ActiveX components or other plug-ins. IceCap™ supports; Microsoft Internet Explorer, Mozilla Firefox, Google Chrome, Apple Safari – and will run on Windows, Linux and Mac OS / X. Web applications can be activated via hyperlinks from most applications, intranet, extranet, or directly from the Internet. The “Authorized-Auto-Login” feature will ensure that the information can be retrieved or updated, without constantly requiring password. IceCap™ supports all character sets and works perfectly in international organizations. Customers, partners and mobile employees can now, via IceCap™, get access to selected parts of your Business Solution via their computers or phones. They can instant access to order registration, sales prices, inventory status, order status, etc.